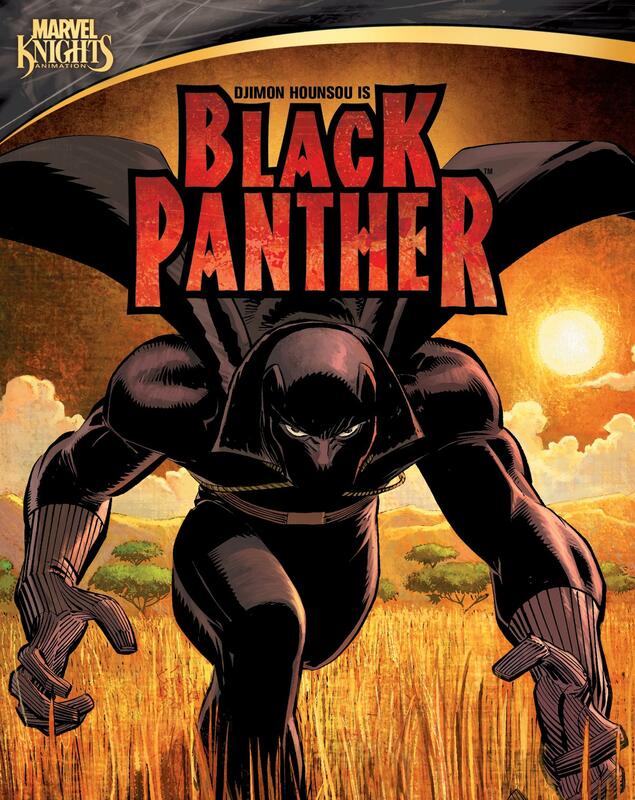 Marvel Knights Animation delivers all-out action as Reginald Hudlin and John Romita Jr.’s Black Panther is brought to life in his own series for the very first time since his creation in 1966. With guest appearances by the X-Men and Captain America, The Black Panther’s six episodes are filled with exhilarating action, dazzling visuals and an explosive soundtrack as he leaps from the comic book pages into homes everywhere. On January 18, 2011, Shout! Factory, in association with Marvel Knights Animation, will debut the long-awaited Marvel Knights Animation: Black Panther on DVD. Inspired by the popular graphic novel from acclaimed filmmaker/writer/producer Reginald Hudlin and legendary comic book artist John Romita Jr.
Marvel Knights Animation: Black Panther features an all-star voice cast including Djimon Hounsou (Blood Diamond) as Black Panther; music artist and actress Jill Scott as Storm; Kerry Washington (For Colored Girls) as Princess Shuri; Alfre Woodard (True Blood) as both Dondi Reese and Queen Mother; Carl Lumbly (Alias) as Uncle S’Yan; and the legendary Stan Lee as General Wallace. Stan Lee and Jack Kirby created the first and the greatest black Super Hero when they imagined The Black Panther in 1966. He is no ordinary Super Hero; he’s the king of the scientifically advanced country of Wakanda. 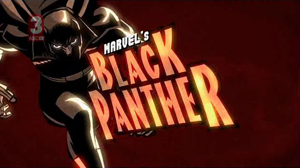 Marvel Knights Animation: Black Panther takes viewers on a thrilling adventure which includes battle scenes, love stories and political intrigue while John Romita, Jr. pens panoramic vistas, brilliant visual design and intense action. The Marvel Knights Animation: Black Panther DVD is packed with extensive bonus content and a graphic rich cover, plus a unique replica of comic book-style plastic sleeve packaging that bridges the comic book to DVD concept. Marvel Knights Animation: Black Panther DVD is priced to own at $14.97. Now, outsiders once again threaten to invade and plunder Wakanda. Leading this brutal assault is Klaw, a deadly assassin with the blood of T’Challa’s murdered father on his hands, who brings with him a strong army of super-powered mercenaries. Even with Wakanda’s might and his own superhuman skills, can the Black Panther prevail against this deadly invading force? Marvel Knights Animation: Black Panther is executive produced and written by Reginald Hudlin, and Co-Executive produced by Stan Lee. Marvel Knights Animation remains true to the heritage of panel-by-panel graphic storytelling, boasting groundbreaking graphics, sensational soundscapes and of course, the explosiveness of the Mighty Marvel Universe. Behind every image and every word lies the genius of Marvel’s celebrated creators like Reginald Hudlin, John Romita Jr, Joss Whedon, Brian Michael Bendis, Warren Ellis, Adi Granov, and John Cassaday.